One. The USA, Apple “genius”, Apple co-founder and visionary Steve Jobs has died from cancer at age 56. 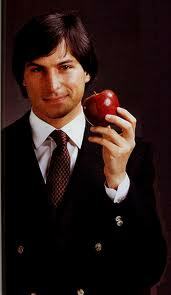 He spent virtually his entire career in the public eye, co-founding Apple at age 21. He loved and hated his fame at times. Laurene Powell Jobs, whom Steve married in 1991, was rarely photographed with him. Each suffered failures before their ultimate triumphs. Steve Jobs’s triumph is now we cannot imagine our life without ipod, ipad, Mac pro. Thanks, Steve! Two. Calgary polling stations reported higher voter turnout Saturday as Alberta Progressive Conservative members cast their votes to choose the party’s next leader.Alison Redford won. Current position: MLA for Calgary-Elbow, age: 46, Born: Kitimat, BC, Current hometown: Calgary, Family: Husband Glen and daughter Sarah, Education: Law degree from University of Saskatchewan. Three. Canada has signed onto an international agreement that aims to prevent the trade and spread of counterfeit and pirated goods. International Trade Minister Ed Fast announced Friday he signed the Anti-Counterfeiting “Trade Agreement”, an accord that has been in development since 2006 for which negotiations including 38 countries concluded in October last year. Four. A team of Calgary students is gearing up to race their solar-powered car in the “ultimate test” to be held in Australia. The University of Calgary’s Solar Team will compete against 40 others in the 2011 World Solar Challenge, a 3,000-kilometre race through the Australian Outback. Five. After nearly three decades of trying to save peregrines, the bird is making a comeback to Alberta to levels not seen for almost a half-century. (Info from “Calgary Herald” Sunday, October 2, 2011.